With less than a day remaining to launch their new variant Nissan Sunny in Indian car market on September 20, 2011 team of Japanese car manufacturing company Nissan must be biting their nails praying for its success in sedan segment of cars existing in Indian car market. As far as Nissan Sunny price is concerned it is speculated to be priced with price tag of Rs 8 lakh (ex-showroom price in Delhi). After the successful launch of Nissan Micra in Indian car market, Japanese car biggie must be concerned to maintain same success with launch of Nissan Sunny. Coming towards Nissan Sunny review it is revealed that it is equipped with 1.5 litre petrol engine generating power of 99 bhp and 134 Nm torque. Nissan has announced that after launch of petrol variant of Nissan Sunny is speculating to launch its diesel variant also in Indian car market as it launched for Nissan Micra to compete with other diesel cars in hatchback segment. 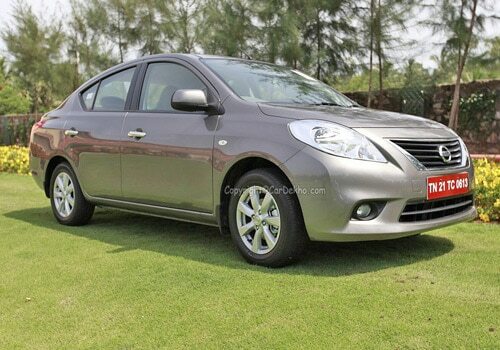 Nissan Sunny review also refers that unlike US and Chinese car market, Nissan will launch three models of Nissan Sunny in Indian car market viz., Nissan Sunny XE, Nissan Sunny XL and Nissan Sunny XV. Nissan Sunny is expected to be a one of the tough contender for cars like Ford Fiesta from Ford, Hyundai Verna from South Korean car company Hyundai Motors, Honda City from Japan's Honda Motors, Volkswagen's Volkswagen Vento, Maruti Suzukin India Ltd's Maruti Swift Dzire, Tata Indigo Manza from Tata Motors and other cars in sedan segment. Approved with ARAI certificate Nissan Sunny is expected to give an average of 16.95 kmpls which can be considered a decent average as far as sedan cars are concerned. 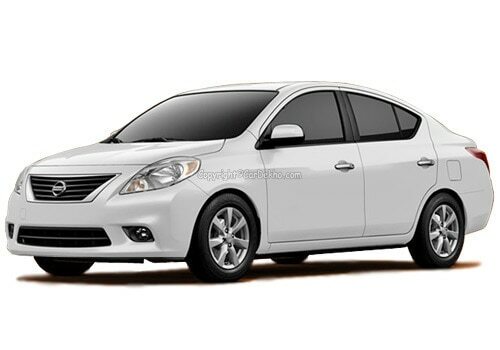 Inferring about Nissan Sunny other features Nissan Sunny review infers that it is equipped with enormous features as compared to other sedans. Nissan Sunny is designed with impressive colour combination cosmetics like rear view mirrors, mud flaps, door handles and bumpers all matching to body colour. Besides these cosmetics Nissan Sunny sedan adorns all requisite safety measures for instance all three variants of Nissan Sunny are embedded with ABS depending upon the variant chosen by customer.